To understand SM, I delved into why it happens in a manuscript. A writer works so hard on the beginning–because that’s what the editor sees first, unless the editor is crazy and skips to the middle (guilty). It’s hard to keep up that intensity for 250+ pages. Why not just work on the beginning–since that’s most important–and not worry about the middle until you get an editor interested? The reader can’t be hooked every second, can she? This kind of thinking is all wrong, by the way. It’s right around the third chapter that I need a boost because I’m getting deeper into the story. Every page is important. If sagging weighs down chapter three, I know what’s about to happen later: not a whole lot. The sagging gets saggier. For the editor, life is too short and the pile of reading too high. For the writer, it’s time to work out the SM. You hear similar things about strengthening your “core.” Since my husband took up Pilates (he says it was invented to rehabilitate injured soldiers, thus is manly exercise) and I am trying it, I sense how important it is to build up the stomach area, which holds so many emotions, stressors, and for me at least, croissants. My SM troubles began circa 1973. Newly Parisian, I fell in love with food and stuffed as much French candy into my mouth as possible. Because I was five, I ignored my health and went for new and flashier pastries. Whatever I could find, I ate–often regretting my gorging. Confection looks great on the outside, though doesn’t always feel so delicious an hour later. Regardless, my belly grew into a giant balloon (please bear in mind, I was still cute). Since I didn’t care about boys or modeling, I kept up my eating marathon for a few more years. Then kids really started making fun of me. That’s when I started doing sit-ups, the old-fashioned ones where you lie down and sit all the way up and back down again. I began with 10, then 50, then 100. They were a pain in my gut, but I could tell they worked. The balloon deflated. So how do you fix the sagging, out-of-control middle in a manuscript? As with your core, there are steps to fix the problem. You just have to follow them, be relentless, and keep going until your manuscript shimmers with excitement and health. 1. Ask yourself if you’ve started the story in the wrong place. Several years ago, an author told me that her beginning wound up being chapter 9. This explained why I gasped in the middle of her story. No sagging there. You may not have this problem–the wrong beginning–but the path to solution opens with a question, a tough one. Be brave enough to consider re-arranging your book. 2. When I was toiling over a story, finding myself on the sagging middle to nowhere, a friend explained that the protagonist should have a main problem with an even bigger problem working against him/her. Plotting is like physics to me, i.e. I don’t get it, but this simple advice made sense to me. Reading up on story structure can help beef up a novel. As with an ab workout or plot revitalization, consult experts. Check out those books, watch exercise videos, talk to trainers. You will eventually get what you need to succeed. 3. Don’t let the reader rest for too long. There’s that moment where a writer may think, Ah, the excitement’s over for now. Let’s just have the characters picnic in the grass and wax poetic about the breath-taking landscape. Show off ability to describe beautiful scenery! Isn’t it fun to just sit and behold? In a romance, those scenes should be short and incredibly meaningful or else they sag. Too much of a good thing (relaxation and picnic fried chicken/potato salad) can bring on the ZZZZZZs, much like the dreaded food coma. The second I started sitting and reading (with snacking) for a living, I noticed certain physical changes and energy drainage. After enjoying 10 years of an “eat anything” metabolism, I suddenly gained weight just looking at cupcakes–even more when I ate them. Exercising less had been my mantra until I became an editor and had to buy new clothes. And since entering George and Demi territory, I must exert myself even more to keep from doing what I hate so much: shopping for new clothes in an actual store. Don’t rest too long is my new mantra–true in life, true in romance. 4. You want the story to escalate, not reach a plateau. With romantic suspense, a writer must juggle two difficult elements. There is ebb and flow in romance and suspense. How do you make them work together? I would start with how best to torture your characters further. For me in real life, that torture is a push-up. I can’t do one. Because I’ve mastered my situps and run/walk so that I can still eat a cupcake, I neglected upper body strength, putting it off until my bones crack in half later in life. 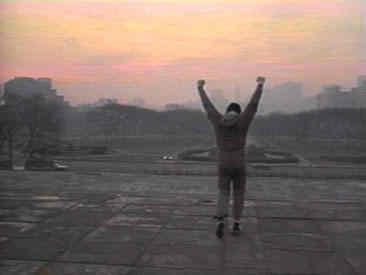 But when I couldn’t open a jar of peanut butter (for evil midnight dining purposes, of course), I realized I had to torture myself a little more by adding weights and pushups to the mix (I did rewatch Rocky for that inspirational training montage). Putting your characters through more pain than they expect will up the ante as you race through that middle part. 5. Maybe your character isn’t with the right person. Gasp! A few months ago, I was reading a story where the heroine fell in love with the hero. The entire time, I thought she was with the wrong man. And–gasp again–I encountered a SM and put down the book. As with nutrition and exercise, it’s a matter of exploring what will test you the most and, in the end, be the most beneficial. Boy do I love sugar, but it turns me into a jerk, goes straight to the gut and was my original Achilles heel in France. It’s the reason I do situps, so it can’t be my hero. Now, I have a shaky but growing relationship with brown rice. 6. Prolong the romance even more. Though I don’t recommend waiting until the very end for the kiss, Sixteen Candles has this remarkable way of sustaining conflict for two hours. Sure, it’s an ensemble cast, but even a simple love story can create those goosebumps. Think of your favorite stories and how the writer/movie kept the conflict building to an exciting end. I can think of no clever nutrition/exercise parallel except to wait five minutes before getting that bag of Fritos (my lunch weakness). 70% of the time, I still indulge, but I like to believe I’m building willpower. 7. Resist the temptation to keep working on the beginning. Carve out time to work on the middle–a lot of time. Since SM is such a problem area, why not focus the most on this area? If you pull a muscle in your calf from running (as I do), do you then nurture your arm? Usually it’s the area you want to ignore most that requires the most attention…or else the problem will keep growing, like my love for French pastries circa 1973. I wish I had more answers to the mystery of how you bring a romance or body to its most perfect form. With those pesky abs, I just want to feel good and, sometimes, that involves a corner piece of vanilla cake or 100 situps. With a manuscript, it’s that feeling that I’ve done everything I could with no niggling thought saying, Well, you kinda phoned in the middle. If that happens, I just go back to these steps and repeat. The torture is worth it. *Usually, one might write Demi since she somehow became the poster girl for over 40. I’m changing it to George Clooney since he’s way over 40, and even over 50! I was nervous about going to work today since it’s two blocks from Ground Zero and the President just announced airstrikes overseas. It’s understandable that New Yorkers would be nervous nellies operating so close to where we witnessed unimaginable horror. Thirteen years ago, I was walking to work, thinking about my future. Should I stay in publishing or do something else? The night before, I’d done a tarot reading for myself and pulled “The Tower” card, thinking it would mean a whopper of a change for myself. It turned out to be a massive change for the world. 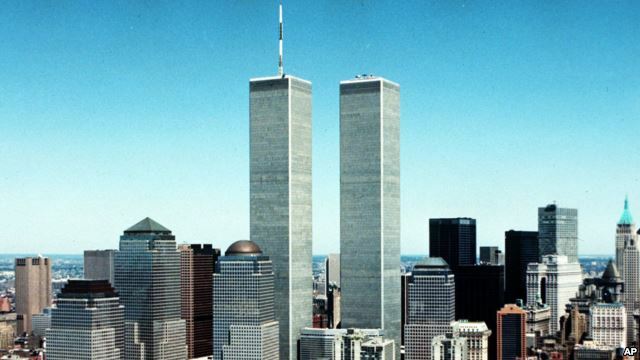 At work that day, somewhere around 8:40ish, I was photocopying a manuscript, and someone told me about the first plane flying into the World Trade Center–and then the falling towers. How could that be? We were just there for our holiday party. My colleagues and I saw the atrocities from a window about three miles up from hell. We all went home and stayed home for a while. Thirteen years is a long time. Many are still hyper-vigilant and living in fear, including myself. I was afraid this morning. Then I remembered all those who died on 9/11 and that, likely, there’d be plenty of nervous people like me at work and on the subways, remembering, not wanting to remember, reminiscing about how life has changed. Maybe others want to pretend the heartbreak isn’t there. Whatever the case is for those who found themselves in our dear city, the anxious and heart-broken helped this fidgety girl get through the day.